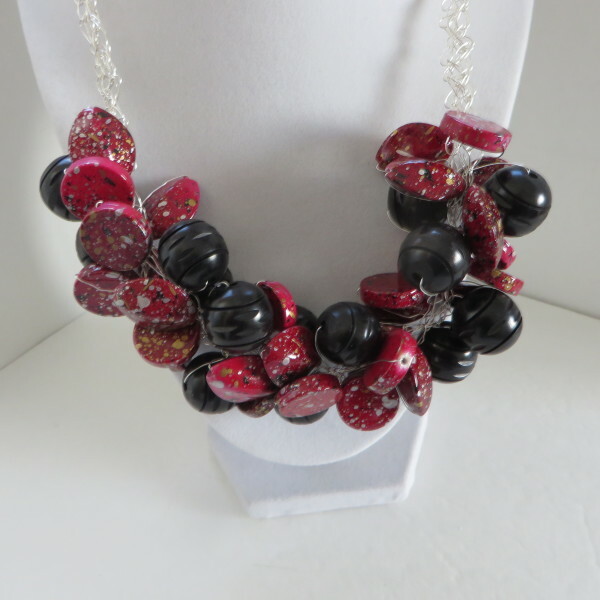 Go big and bold with this necklace! 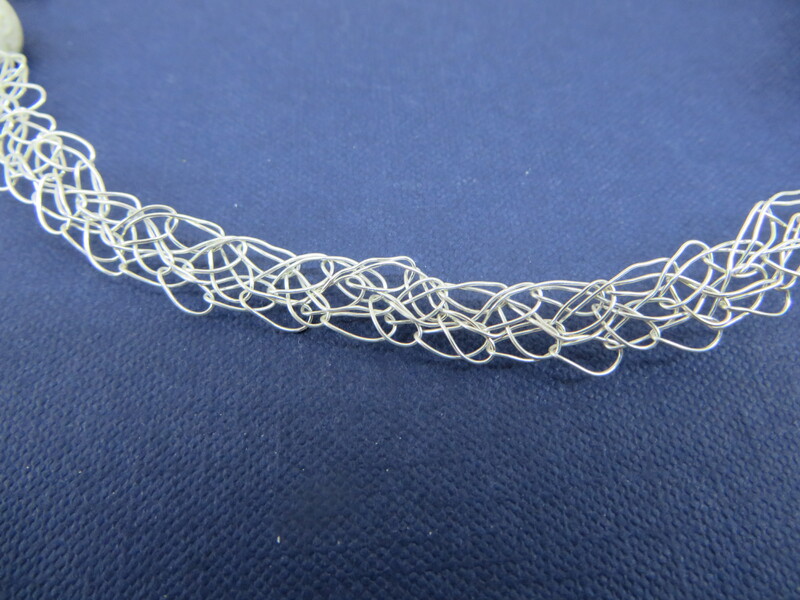 This necklace is 19 inches in length with a 3 inch extension and is constructed with multiple strands of crocheted non-tarnish 26 gauge silver wire. 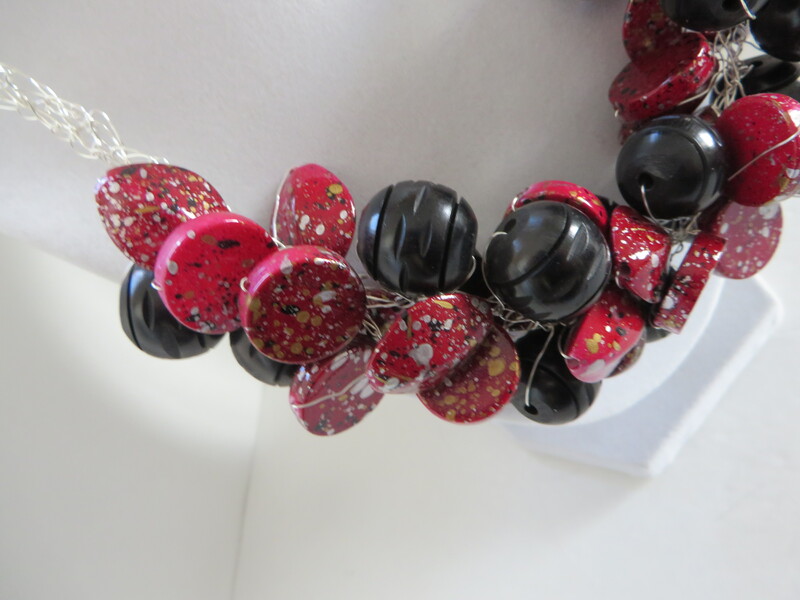 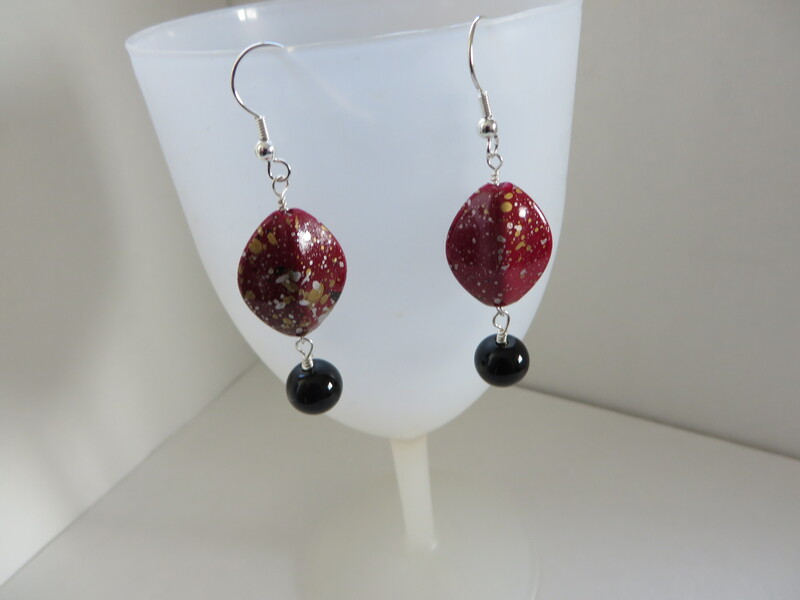 The beads on this necklace are large black balls and the red acrylic beads are flecked with gold, silver and black. 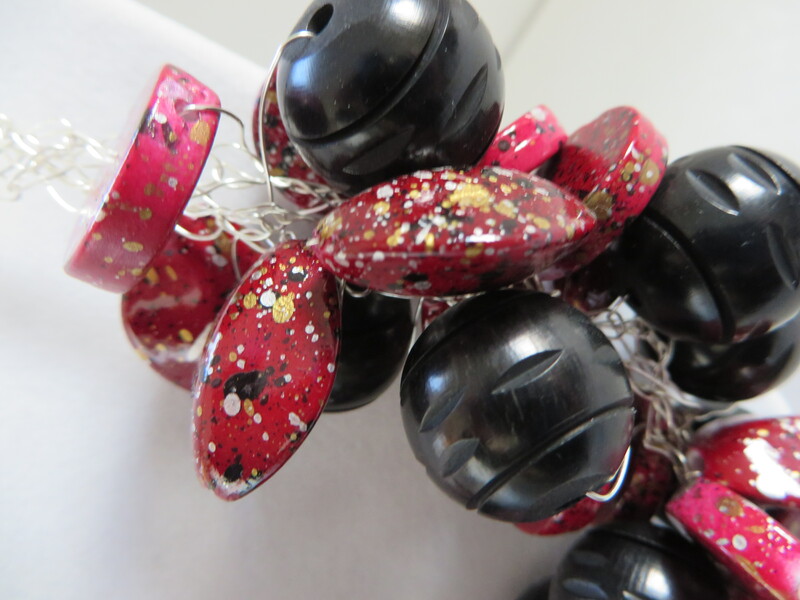 It is finished with a lobster clasp. 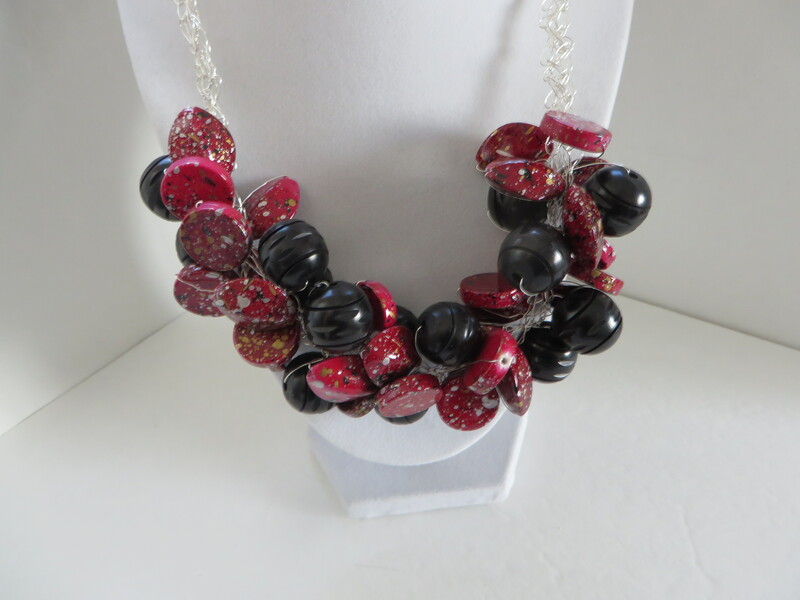 This necklace does make a bold statement and would be fun to wear!